We recommend our True Elegance vacation package to travelers who wish to discover Portugal’s most prominent destinations in luxury and style. Visit Lisbon, built over seven hillsides on the banks of the Rio Tejo, with numerous points offering majestic views to the cobbled alleys of the historic center. Continue with Porto and its charming old town - this lively ancient port hides many culinary treasures waiting to be discovered. 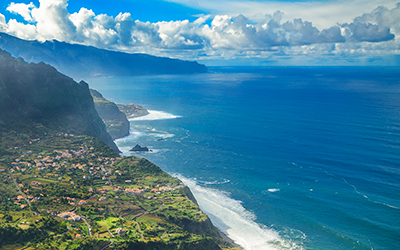 The stunning island of Madeira, or the 'Pearl of the Atlantic', is your next stop and will certainly enchant you with its unique natural beauty. 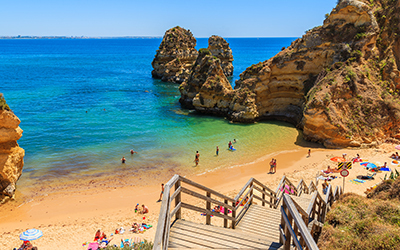 Your experience will conclude at the ultimate beach destination of Algarve, where you will relax at a luxurious resort and explore picturesque historic villages. The True Elegance Portugal vacation package will perfectly combine authenticity with luxury and your individual travel style. We recommend our True Repose vacation package to travelers who are looking to relax and explore a bit of everything away from the crowds. Begin in Lisbon, built over seven hillsides on the banks of the Rio Tejo, with numerous peaceful points offering majestic views to the cobbled alleys of the historic center. Continue on to Minho (considered by many as one of Portugal’s best kept secrets!) where you’ll explore this traditional province with its picture-perfect lush green landscapes and rich cultural heritage. Conclude your True Repose experience in the magnificent Douro Valley, the authentic wine region around the Douro River where you will discover charming small towns, incredible vineyards, and meet charismatic locals. Your True Repose Portugal holiday experience will be truly relaxing and thoroughly enjoyable. 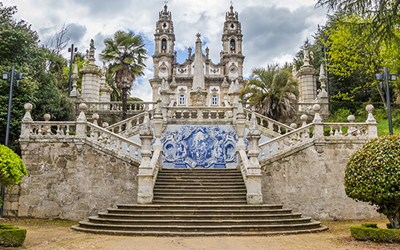 The True Antiquity vacation package is ideal for travelers looking to delve into the rich history of Portugal while exploring Lisbon, Porto, Coimbra and Alentejo. Lisbon is the second oldest capital of Europe and its long history is evident everywhere you look, from the scattered ancient ruins to the Moorish castle overlooking the cobbled alleys of the historic center. Porto, your next stop, is an ancient port famous for its charming old town, winding alleys and imposing Romanesque cathedral. 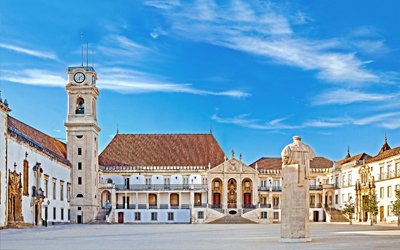 Continue on to Coimbra, the home of Portugal’s oldest university founded in 1290 and its awe-inspiring Baroque library and clock tower. Conclude your historical exploration in southern Portugal in Alentejo, where impressive fortified castle towns and idyllic villages lure you in to the rich history of the area. 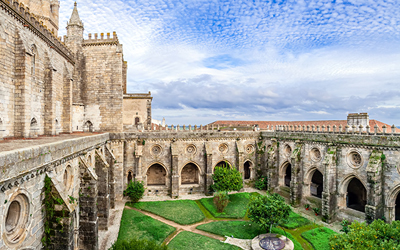 If you have a love for history and culture then our True Antiquity Portugal vacation package is a perfect choice! 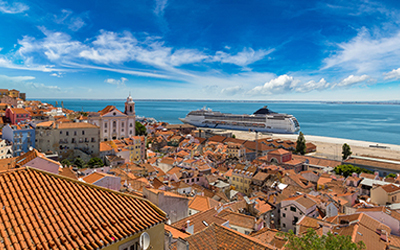 True Lisbon is the perfect vacation package for travelers who wish to experience only the city of Lisbon – either as part of a longer European vacation or simply as a city escape. 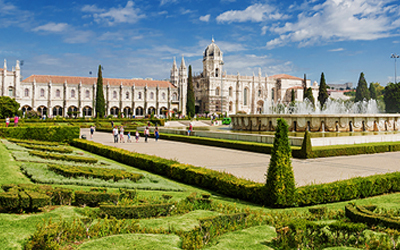 Being the second oldest capital in Europe, Lisbon offers a unique combination of historic and contemporary culture. Discover the numerous viewpoints on its hillsides and admire the history of the city unfolding before your eyes. Stroll through the cobbled alleys, visit its impressive museums, castles and monasteries. If you find yourself with enough time, take a day trip to the magnificent resort town of Sintra. Sitting at the foothills of Portugal’s Sintra Mountains, the rolling hills of the area are dotted with palaces, villas and impressive gardens. The True Lisbon travel experience is an intimate and luxurious vacation designed for travelers with a love for city discovery.